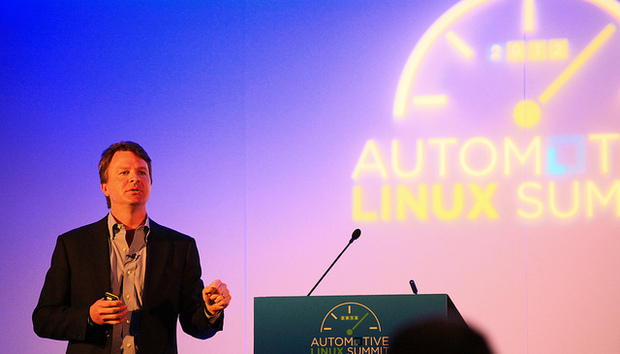 Speaking at the Huawei Ultra Broadband Forum in Frankfurt recently, Jim Zemlin, Executive Director at the Linux Foundation claims Open Source is now the “primary development model” for the most successful companies. “Open Source today is very different from Open Source even five or six years ago,” he explains. “Traditionally Open Source was about following proprietary incumbents in shrinking markets. The MySQLs and Open Source alternatives to an Oracle database, Linux was an alternative to a proprietary Unix. “Today, the reverse is happening. Every major category of software is being dominated by Open Source, and it is now expanding markets and creating innovation. “Linux isn't just the world's largest Open Source project, Linux is the largest shared software investment in the history of computing,” he says, adding that the 25 year-old project is “dominating almost every aspect of modern computing”. Citing the likes of Hadoop, AllJoyn, OpenStack, and Kubernetes, he claims Open Source is “defining the modern cloud infrastructure that is used in almost every modern cloud data centre”. He says Linux sees 10,000 lines of code added, 5,000 subtracted, and 2,000 modified, every day, with changes being made every eight minutes. In recent years, the likes of Google, Amazon, Microsoft, and even Apple have released various projects to the Open Source community, and are basing their own product on Open Source code. “The best organisations in the world are doing this. Why? Because it's the last 20% of the code in these products, in these software models, that truly matters to your customers. What the biggest technology companies know how to do best when it comes to embracing Open Source is manage it correctly. From picking the right projects, to integrating it into their own systems and supply chain, to having a legal department that understands how the necessary Intellectual Property requirements, to understanding and quantifying the value OSS brings. Zemlin claims the biggest barrier for organisations isn’t the technology, but the people who don’t understand the value.